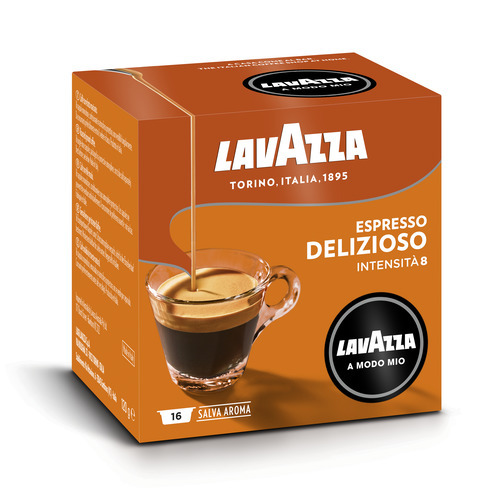 An exceptionally balanced coffee of sweet aroma, strength and smoothness. This well rounded blend produces a coffee that is perfectly formed, offering you a bouquet of fragrances and an intensity that is a harmony of crema and taste. A blend of Brazilian Arabica coffees, with an aroma of white grapes and notes of dried fruits, is skilfully combined with sweet flowery Indian Arabica in a delicate roast. The result is an authentic Italian espresso with a well rounded bouquet, a sweet aftertaste and distinctive aromatic notes. Italian haute cuisine meets Lavazza A Modo Mio. Davide Oldani, the "pop democrat" of Italian cuisine, interprets the Deliziosamente blend. "A sweet, aromatic Italian espresso, the scent of dried fruit and flowers brings to mind places visited and merely imagined." Pan dei Pescatori (fishermen's bread) from Liguria is a solid and slightly spicy cake with pine nuts, currants and raisins and sometimes dried fruit. It's an ideal match for the smooth sweetness of Deliziosamente.